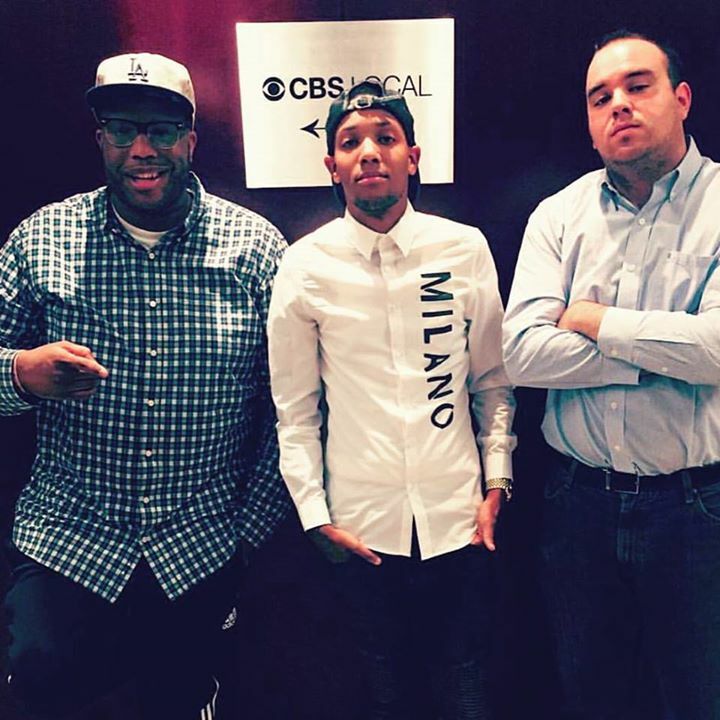 Last week, we had one of the top rap producers in the world Jahlil Beats on the Brown and Scoop podcast on CBS Radio’s Play.it and iTunes. Jahlil talked about his career, producing, and of course the Drake and Meek Mill beef. He’s close with Meek Mill and has insight on the beef not heard anywhere else. Jahlil told us that Meek and him found Drake’s ‘Back to Back’ hilarious and also believes the beef isn’t over. The interview was picked up by almost every rap and hip hop site in the country. It also seems to have ignited the beef after a couple of weeks of silence. Drake came out over the weekend and called Meek Mill ‘dead.’ Here are all the sites that picked up our interview. Landon Battles is an up and coming rapper out of Chicago. Battles first ever radio/podcast interview came with us in studio on Brown and Scoop. He talked about his career, his BlackGold mixtape and upcoming EP, and had an epic eight-minute freestyle rap battle with me. Former NFL Pro Bowl running back Willis McGahee joined us on the phone on Brown and Scoop on CBS Radio’s Play.it and iTunes. McGahee talked about his career, his departure from Buffalo, some stories from his teams at the University of Miami, Peyton Manning, Tim Tebow. and his future. McGahee broke the news to us that he believes he can still play. He said he can start right now for the Dallas Cowboys and would take any opportunity given to him. R&B singer Aaron Camper joined us in studio on Brown and Scoop. We talked about his career, touring with Chris Brown and Justin Timberlake, sports, and more. Camper performs his newest song “I Choose You” with a little help from us. Him and I wrap it up with a Maryland Terrapins hoops/Jewish New Year freestyle rap battle. Jake Brown and multimedia personality Brandon Robinson aka Scoop B dive into the world of sports and entertainment every week. Each show brings something different from analysis, callers, stories, and predictions to raps and freestyles to Brown’s Babe of the Week, Brown and Scoop got you covered. Each week also features interviews with the biggest names in the country in sports and entertainment.